Read Our New Newsletter - The Ripple! The Winter edition of the Ripple is filled with articles about projects and activities that strive to achieve our objectives and "make it happen". We are also pleased to welcome new members to ACFC! We hope you enjoy reading the 4-page Ripple! We welcome your comments and suggestions for upcoming editions of the Ripple. 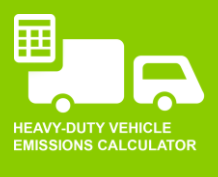 The Argonne National Laboratory has released the Heavy-Duty Vehicle Emissions Calculator (HDVEC). HDVEC is an easy-to-use web-based application developed to help estimate the vehicle operation nitrogen oxides (NOx), vehicle operation fine particulates (PM2.5), and well-to-wheel greenhouse gases (GHGs) of medium- and heavy-duty vehicles for Clean Diesel Settlement and other funding projects. In addition, it can estimate the cost-effectiveness of the use of funding dollars to reduce these emissions.